﻿ Lost Beers - What is Belgium's oldest beer? 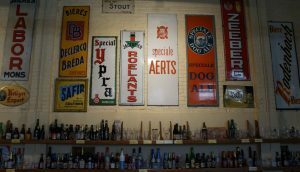 Home » What is Belgium’s oldest beer? What is Belgium’s oldest beer? When making a beer trip to Belgium, you can easily get mesmerized by all the history you see: venerable old brown pubs, knighthoods with seemingly Medieval outfits, stained glass windows, old carriages and most of all: lots of labels. Labels featuring emperors, monks, coats of arms and of course most prominently a year of supposed origin, usually a millennium or so ago. So that’s why this time I’ll try to answer the inevitable question: what is Belgium’s oldest beer? A while ago I addressed the same question for The Netherlands, and there it was a lot easier: the number of brands and breweries that had survived the post-WWII shake-out could be counted on the fingers of a few hands, and the oldest beers were made by companies that, in the late 19th century, already advertised their products quite heavily. After all, I wanted to find the oldest beer that had been brewed all that time until now, with more or less the same name and roughly the same recipe (even if it had undoubtedly evolved over time). Brewed with some form of continuity, with at most an interval of only a few years, for instance during the wars. The oldest beer of Holland turned out to be Amstel Bock, according to a newspaper advert from 1872. But Belgium? That’s a harder nut to crack. I started out by taking Belgium’s current breweries, about 250 in total, and selecting those that already existed back in 1979, when they appeared in Wilfried Patroons’ book Bier. This left me with slightly over fifty breweries. Next, quite arbitrarily but relevantly, I drew a line: which beers made by these breweries already existed before the year 1900? 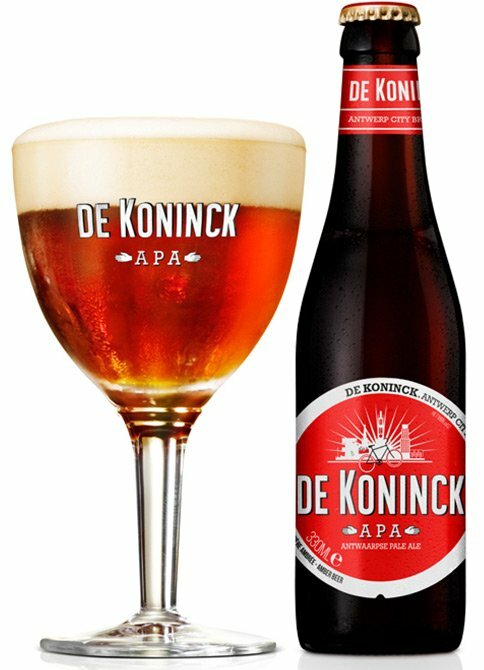 The ‘bolleke’ De Koninck is not that old: the beer dates from 1925, the glass from 1952. This meant I could freely eliminate all 20th century beers off my list, and then a surprising lot vanished before my eyes. Not only does this rid you of all pilseners (earlier attempts aside, Cristal Alken and Stella Artois are reckoned to be the oldest, both introduced around 1926), but also of all spéciale belges, including Antwerp’s venerable city beer De Koninck, which was introduced in 1925. The accompanying ‘bolleke’ glass only saw the light in 1952! Many other monumental beers date from the 20th century as well. 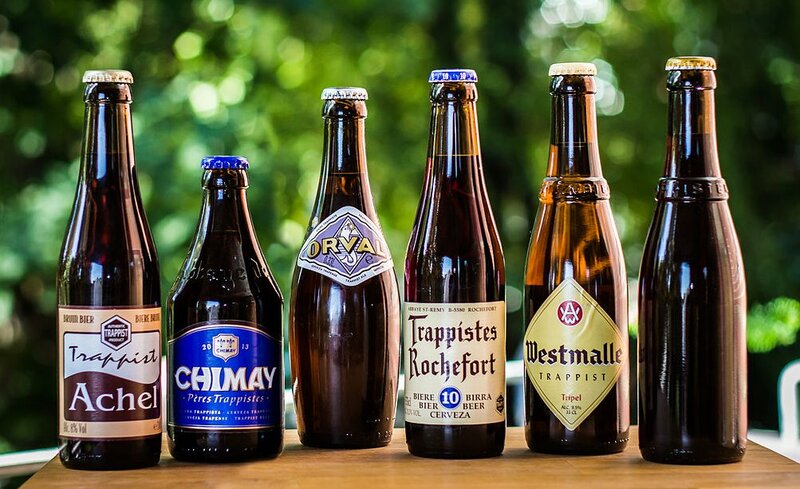 The Westmalle trappist beers for instance (the Dubbel is from 1922, the Tripel appeared in 1934), but also those of Chimay, whose Rouge was invented in 1948. The oldest trappist beer still in existence seems to be Westvleteren 8, first attested during the First World War. With one stroke of the pen, you can delete all Belgian abbey beers as well: they are all imitations of the trappist beers, mainly conceived in the 1950s and after. All their self-indulgent tales of monks and founding years are just window dressing. The oldest abbey beer is Witkap Pater, developed in 1929. 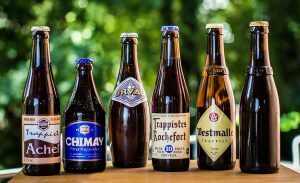 The trappists of Belgium: monumental beers, but from the 20th century. You can also eliminate all alcohol bombs like Duvel, Kwak, Piraat and all the others. Bush (Scaldis in the US) is from the 1930s, Duvel in its current form is from the 1960s, and the rest are just imitators. Unfortunately, I also had to eliminate the white beers: it is undoubtedly Belgium’s oldest beer style, but the currently oldest brand, Hoegaarden, was only established in 1966 by the legendary Pierre Celis. Once we clean up this battlefield, what does that leave us? Something, at least. It’s impossible to pinpoint the oldest beer, simply because at many breweries the exact facts are lost in the mist of history, or simply because no-one has bothered to research those facts. Anyway, I’ll now present you with what I’ve found. Maybe I’ve been a bit too arbitrary in leaving out a few, but I’ve made a strict selection on the criterion of the combination of beer and brand name, even if the brewery concerned may be older. 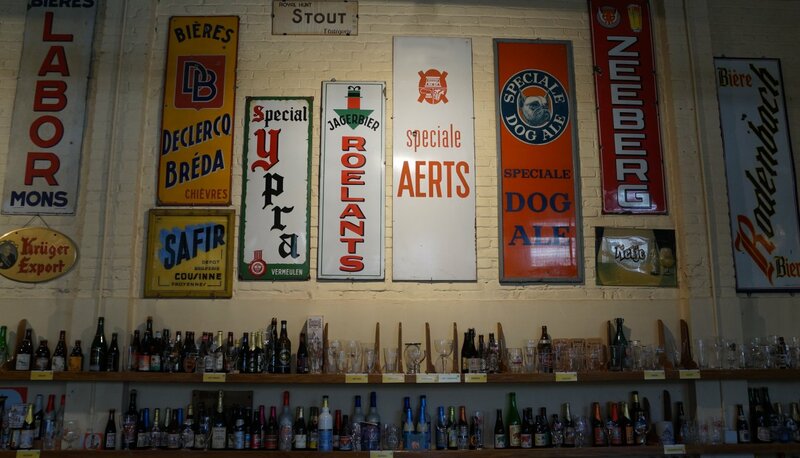 This made Boon, Dupont and Timmermans, among others, disappear from the list, because even if these breweries are older, they only acquired their current names in the 20th century. 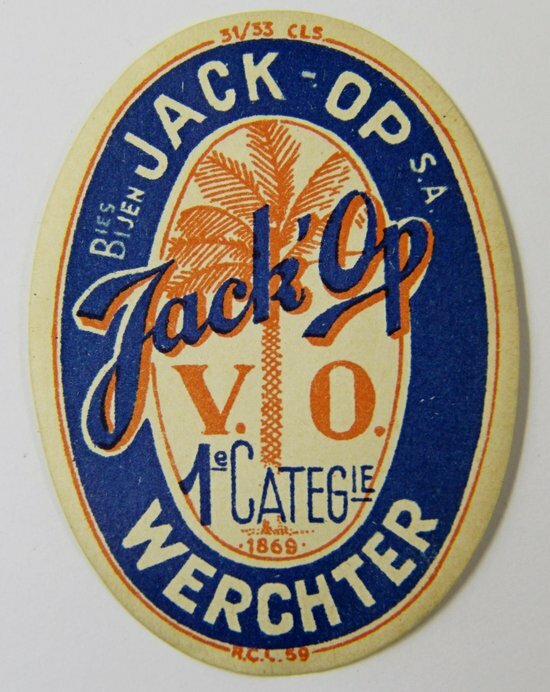 Jack-Op: on sale since at least 1893. De Troch lambic, faro – Started brewing ca. 1820, now sold under the brand name ‘Chapeau’. Lindemans faro – Company exists since 1822. Oud Beersel lambic – Blender, since 1882. Girardin lambic, faro – Since 1882. 3 Fonteinen lambic, faro, kriek – The 1883 name supposedly references the three products sold on draught: faro, lambic and kriek. Jack-Op – A beer conceived by Felix van Roost in Werchter, who registered it as a trade mark in 1893. It enjoyed considerable success, but later in ended up in InBev’s claws, who ceased its production in 2008. However, in 2010 they granted Frank Boon permission to produce it in a limited quantity. Rodenbach: a beer whose history could need additional research. I never understood why today this is also known as ‘red’ or ‘red brown’: historically, it was always simply called ‘brown’. Anyway, a few of these date back to the 19th century. How old they really are is unclear, but to be honest I haven’t seen anyone proving the existence of this wonderful aged beer style before the 19th century in West or East Flanders; although an 18th century origin wouldn’t surprise me either, considering the existence of similar beers elsewhere. Roman Adriaen Brouwer Oudenaerds Bruyn – Despite the recent name change I’ll count it anyway because of its subtitle ‘Bruyn’. The brewery has been around since the year 1545 and is still owned by the Roman family, and this time it’s not a romantic fairy tale. For how long they’ve been making oud bruin is another thing. Liefmans Oud Bruin – This brewery in Oudenaarde stems from a company acquired by the Liefmans family in 1784, which sold it again in 1902. Still, the name Liefmans was retained. They moved to the current building in the 1930s. Rodenbach – The brewery dates back to 1821, but it seems that the current beer was developed by Eugeen Rodenbach, who came in charge of the brewery in 1878 and who then applied the knowledge he had acquired in England. 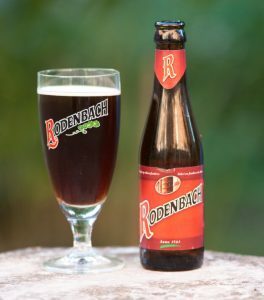 The information is quite sketchy: if there is one brewery in Belgium whose history needs a closer looking into, it’s Rodenbach. VanderGhinste Roodbruin – The brewery dates from 1892, when it already made this beer, then called ‘ouden tripel’. We’ll just overlook the name change for once. Saison de Pipaix – One of Belgium’s oldest beers, still brewed using a steam engine. Another beer that already existed in the 19th century, although it must have been a much tarter keeping beer then. I guess I ought to have included Dupont as well, but that brewery only carries that name since 1920. In any case, these are the only two beers from Wallonia on the list. 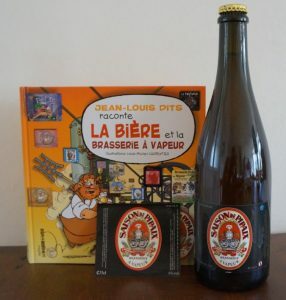 Saison de Pipaix – Although the brewery is called Brasserie à Vapeur since only 1984, the beer’s name was already in use before then. Supposedly, it goes all the way back to the very beginnings of the brewery in 1785, when it was called ‘bière de provision’. In any case it is made in Belgium’s last steam brewery. Silly Saison – They’ve been brewing beer since 1850, and saison at least from the late 19th century. So that was the list: six lambic makers, four old browns and two saisons are the oldest beers of Belgium. Twelve, in a land that prides itself on its thousand beers. Which is the actual oldest one? The most likely candidates seem to be Roman, Liefmans and Saison de Pipaix, which could date back to the 18th century. To know this for sure, additional research would be required based on sources that may not be available. Did I forget anything? Was I unjustified in leaving out certain beers? Let the discussion begin! Ivan Derycke (red. ), Antwerpen bierstad. Acht eeuwen biercultuur, Brasschaat 2011, p. 130; Jef Van den Steen, Speciale Belge Ale. Traditiebier van hier, Tielt 2016, p. 51. Jef van den Steen, Trappist, de zeven heerlijke bieren, Leuven 2010, p. 43-46, 70, 126. Jef Van den Steen, Abdijbieren, geestrijk erfgoed, Leuven 2004, p. 41. Historical data found in (among others ) Jef Van den Steen, Geuze en kriek. Het geheim van de lambik, Tielt 2011. Recueil officiel des marques de fabrique et de commerce VI, Brussels 1893, p. 624-625; https://www.nieuwsblad.be/cnt/a435ioeu. Charlotte Cappelle, Bruin. De geschiedenis van het brouwen in en rond Oudenaarde sinds 1357, Oudenaarde 2010, p. 123. Cf. Michael Jackson, De grote Belgische bieren, Antwerpen 1991, p. 127; Michel de Bruyne, De Rodenbachs van Roeselare, Roeselare 1986, p. 219. Information courtesy of Jean-Louis Dits. Jef Van den Steen en Stefaan Couttenye, Belgian family brewers. Traditie, passie, creativiteit, Leuven 2009, p. 119-120.